Adrenal Fatigue, Anxiety, Borderline Anemia, Candida, Dehydration, Eye Strain, Grief, Hypersensitivity, Insomnia, Nutritional Deficiencies, People Pleasing, Perfectionism ... Scroll down to find out. Approximately 20% of Americans claim to have fatigue intense enough to interfere with their having a normal life. 80% of American women & men suffer from Adrenal Fatigue at some point in their lives. The other 20% are in denial. A - Adrenal Fatigue: Affects most of us at some point in our lives. If you are most tired between 3pm – 5pm AND have suffered a number of shocks, or blessings, within the past couple of years, you could be suffering from Adrenal Fatigue. Recommendations: Get to sleep by 10:00 p.m. and sleep in whenever possible. Avoid the afternoon slump by taking 1000 mg of Vitamin C + 1000 mg of Calcium Magnesium with a snack at 2:00 p.m. Click here for more information about Adrenal Fatigue. A - Alcohol: One definition of an alcoholic is someone whose drinking makes some or many parts of their life unmanageable - it could be their personal relationships or the job or their health or their finances or their connection to spirit or ... The stress of being an alcoholic or being affected by an alcoholic is exhausting physically, emotionally, financially and spiritually. Is this wearing you out? Head over to You Are Not Alone page for a list of helpful resources. Recommendations: The 12 Steps of AA and/or Ala-non. This is a spiritual program and approach to the problem of drinking. It is based on no specific religion - everyone is welcome. A - Anxiety: Defined by Dr. Harriett Lerner as "The on-switch for every negative picture that you've ever had about yourself." Physical symptoms include: Fatigue, sweating, headaches, irritability, need to frequently urinate, insomnia, feeling easily startled and overwhelmed, difficulty breathing and intensification of PMS and menopause symptoms. Recommendations: Learn how to interrupt your thinking; handle your fear in bite size pieces; talk it out with a friend who can listen without "fixing" you. For an easy-does-it technique to handle your anxiety, click here. B - Borderline Anemia: If you are most tired between 11 am – 2 pm, you could have borderline anemia. Recommendations: Eat LOTS of dark green veggies – daily. Ask your doctor for the Serum Ferritin Test (do not self-medicate with iron pills. Get your docs go ahead.) Cook in a cast iron pan. Learn how to combine foods properly to maximize your iron absorption. C - Candida: If you feel tired and limp all the time and foggy minded, plus crave sugar and “comfort” foods, plus extremely constipated, plus losing too much hair in your comb AND have a history for antibiotic usage, chances are high you suffer from too much yeast in your body, aka - candida. Recommendations: Eliminate everything “white” from your diet, including sugar. Ask your doctor for a referral to a dietitian who specializes in Candida recovery. This takes time to clear up. Be patient and get going. C - Constipation: Constipation feeds fatigue, literally. Because toxins aren't being eliminated properly, they build up and demand more of your body's energy to process and store. If you do not regularly have 2-3 bowel movements a day, you are constipated. Recommendation: Add 2 to 3 Tablespoons of ground flaxseed to your morning cereal, oatmeal, bowl of yogurt, etc. D - Dehydration: Our brain is 83% water. Dehydration causes emotional issues such as depression, dementia, anxiety, confusion, delirium and aggravation. Physical problems include fatigue, constipation and headaches. If your urine is dark yellow then drink up!!! Recommendations: Drink up to 8 glasses (64 ouces) of water every day unless you exercise or live in an unhealthy environment (smog, wildfires) - then drink more! Cut back on caffeine - not out - back. Excess caffeine is dehydrating. E - Eye Strain: Spending all day staring at a monitor, watching the road while driving, needlepoint, watching T.V., etc. can be highly fatiguing and cause eye strain. Recommendations: Click here for a simple exercise you can do anywhere, anytime to feel better. Look Left * Look Right * Look Up * Look Down * Look Wide & Shut & SQUEEZE Tight! G - Grief: I am very sorry for your loss. Whether it is by death, desertion or divorce, I have been there and experienced that. Recommendations: Give time, time. Even though you want to isolate stay connected to healthy loved ones and perhaps this article, "Is Your Heart Achy Breaky? ", can help. H - Hypersensitivity: A trait that makes about 20% of the population more aware and affected by all kinds of subtle messages from the outside and inside. "It's not that our eyes or ears are sharper. It's that we process more deeply the information we receive." -Dr. Elaine N. Aron, author, The Highly Sensitive Person. Recommendations: Take the Are You A Highly Sensitive Person Quiz and, if yes, read all about it. Hypersensitivity is a gift. You just need to learn how to manage it and trust yourself. I - Insomnia: Fatigue AND Insomnia ... ie yi yi yi yi yi YIKES. Recommendations: I have lots and lots on this, unfortunately, fortunately? 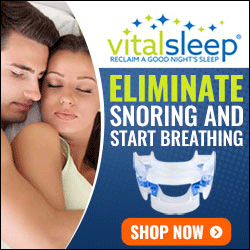 Click here for sleep and sanity-saving tips to help you sleep tight tonight. L - Lack: Lack of joy, lack of humor, lack of spirit ... When you feel better about yourself and about what you are doing with your life, you'll simply feel better. Journal exercises included in the Fatigue Be Gone Guide will help you uncover what is really going on with you. N - Nutritional Deficiencies: Usually starts with skipping breakfast, followed by a gobbled down lunch, then carbo-snacks and "something" for dinner. Recommendations: Keep track of exactly what you eat and drink, and when, for the next three days. Click here for a quick, and I mean quick!, overview of what to eat and start by adding one of the recommendations into your regimen. (PDF file). P - People Pleasing: A condition that affects a huge portion of the population. It causes severe anxiety and depression, cripples self-esteem, undermines and destroys relationships. Chronic niceness a.k.a. "people pleasing" manifests as the inability to simply say NO. Recommendations: Read the book, Anxious to Please: 7 Revolutionary Practices for the Chronically Nice by James Rapson and Craig English. Click here to visit their website. P - Perfectionism: Did you know that perfectionism is a form of self-abuse? And, it is on this list because it is a major source of stress and fatigue, especially in women. Recommendations: Ask for help, allow for help and let go of the outcome i.e. ask them to contribute to the potluck, not how to cook their dish. (Just an example.) Accept yourself. You are a human being, not a human doing. Take Action. Uncover what is driving your perfectionism. Read this page about anxiety for ideas and follow the activity suggestions. This is a partial listing. There are many, many causes for fatigue. The goal of this site and the Fatigue Be Gone Guide & LOG is to help you identify, address and discuss your personal situation with your doctor. Would you like to know why I am so passionate about re-energizing women and how my past can help you today? Read my story here. Finally, if you know you would like to begin your recovery from fatigue - today ... And would like “bottom line,” “just-tell-me-what-to-do” recommendations, order your copy of Fatigue Be Gone Guide & Log Bundle for only $12.99. This is a digital e-book available for immediate download upon payment through our secure shopping cart at Sellfy. 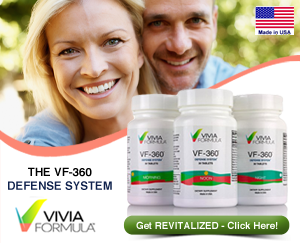 Viveca's Fatigue Be Gone provides easy transitions into a healthier lifestyle. My friends and I have taken for granted that we are tired all the time. This guide has opened our minds to a variety of causes and sources that we can work on together. I recommend sharing with your girlfriends and sisters. Whether your spark plugs need to be changed or your engine needs to be overhauled, this guide takes you by-the-hand and tells you exactly what you need to do to put that tiger back into your tank! Just do it!! Legal Disclaimer: Information on this Web site is provided for information purposes only. Any medical information obtained from this Web site should be reviewed with an appropriate healthcare provider to determine its applicability to your particular condition. Great care has been taken to maintain the accuracy of the information provided on this Web site. However, Fatigue Be Gone, and their employees are not responsible for errors or any untoward consequences arising from your use of this information. Fatigue Be Gone © 2006-Present. All rights reserved.